Likud negotiators agree to key demand made by Yisrael Beytenu, as condition to joining gov't: capital punishment for terrorist murderers. Negotiators from the Likud and Yisrael Beytenu parties have agreed to accept the latter's demands for the death penalty for terrorist murderers, as a condition for entering the coalition government. According to the agreement, the IDF military court - which is technically able to level the death penalty, but maintains an unofficial moratorium on it - will be issued new instructions, by which a simple majority of two judges can hand down a death sentence to terrorists convicted of murder. Currently, the law requires all three judges to unanimously agree. Only one person - Nazi leader Adolf Eichmann - has ever been executed by a court in Israel. The reported deal represents the second major condition leveled by Yisrael Beytenu leader Avigdor Liberman during a press conference Wednesday to be accepted by the government. However, it is still relatively significant, since military judges and prosecutors have tended to avoid recommending the death penalty altogether. Another of Yisrael Beytenu's main demands - the Defense and Immigration ministries - has already been granted. 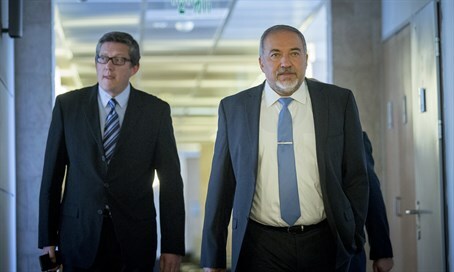 Negotiators are yet to reach an agreement on demands for major pensions reforms also called for by Liberman.